While you are waiting for the rains to splash off the monsoon fun in the upcoming season, you can play with the rainbow hues now. The fashion forecast is that the colour palette for the rainy season is going to be BRIGHT all the way! 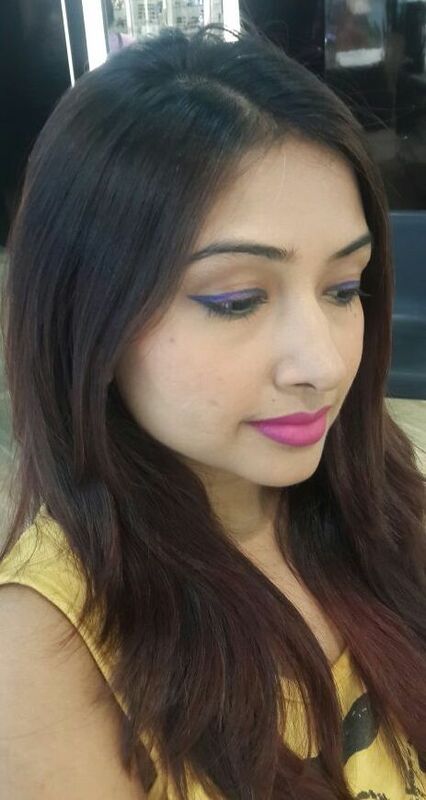 #1 A dash of purple liner across the upper lashes of your eyes with a graphic finish, can make you look edgy, boho-cic and glamourous at the same time. #2 Outline the waterline of your eyes, close to the lower lashes with a pop or a pastel shade according to your mood? It will help to add more definition to the overall look. #3 Keep the finish shimmery but soft and subtle so that your eye make up does not look too dramatic or OTT (over the top)!